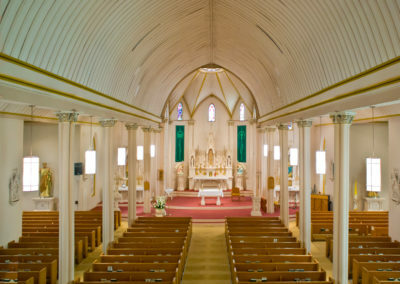 The parish community of St. Philomena Catholic Church in Labadieville, Louisiana traces its roots back to the mid nineteenth century and the early settlers of the bayou. 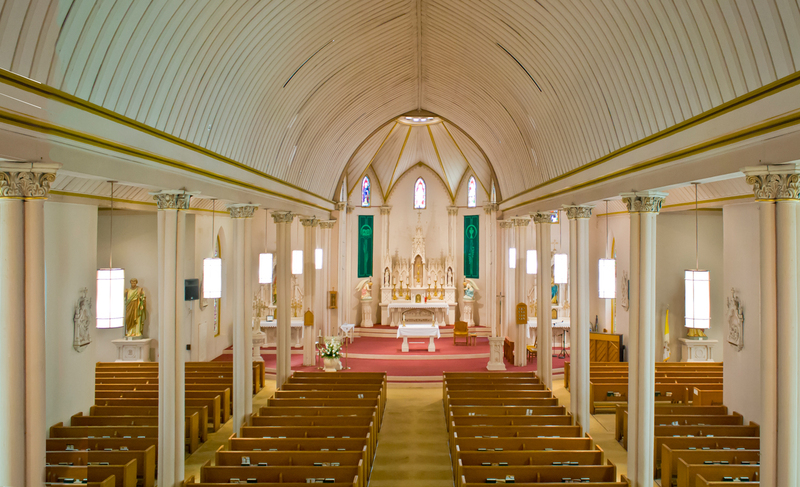 A mission was found in the area that became Labadieville by Fr. Charles Menard, “The Apostle of the Bayou.” Eventually, the community built a chapel, rectory, and a brick church house. 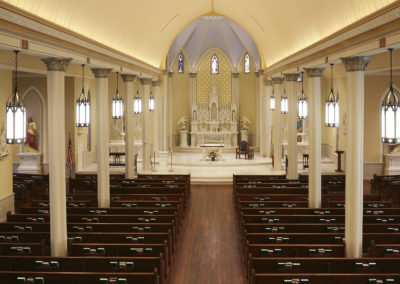 The present church building dates to 1888, with the side transepts added thirty years later. 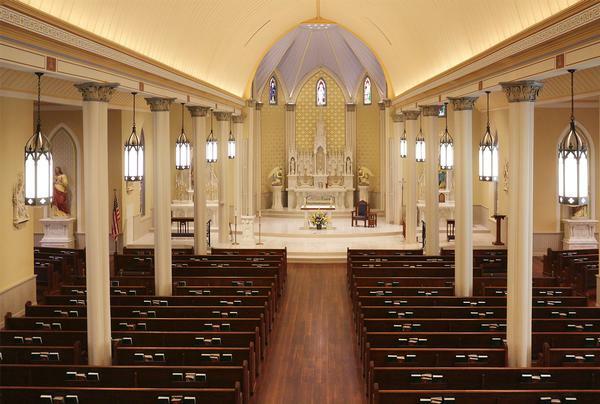 After 125 years of dedicated worship in that space, church leaders and parishoners decided to restore the interior of St. Philomena’s to its original splender. They hoped to enhance the historic architecture and preserve the church’s aesthetic beauty for future generations. 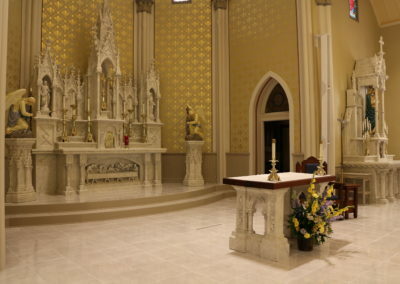 The community turned to Conrad Schmitt Studios to develop a new decorative scheme for the church interior. After artists created and reviewed renderings of possible design schemes, CSS artisans developed onsite samples of each color, finish, and decorative stencil to the specifications of the client. 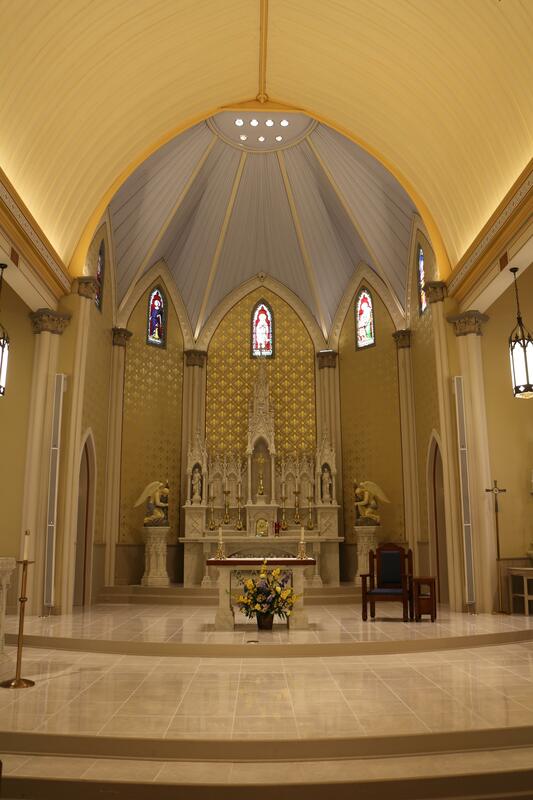 Due to years of wear and water damage, St. Philomena Church required extensive plaster repair. 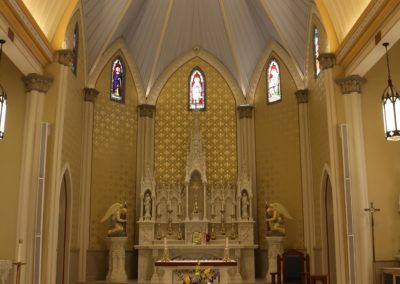 A layer of polymer restoration material was employed to add structural integrity and longevity to wall and ceiling plaster, and several layers of paint, finishes, and glazes were applied. 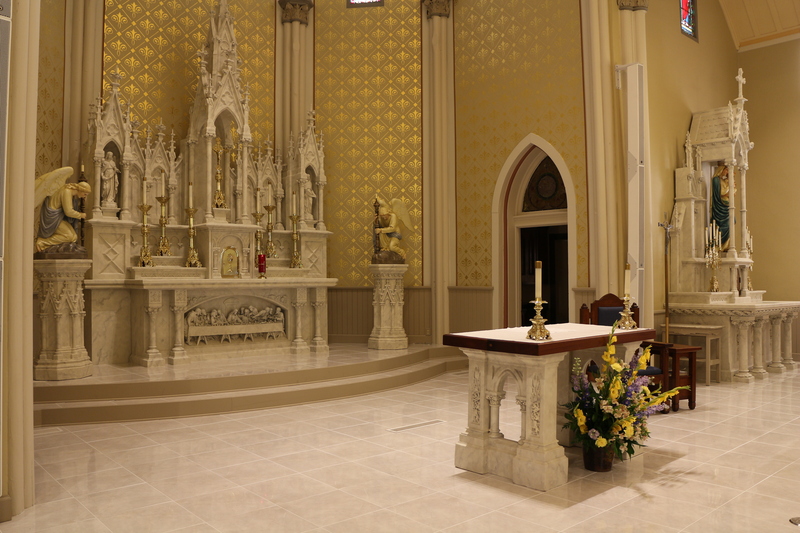 Conrad Schmitt Studio also cleaned and painted St. Philomena’s fourteen Stations of the Cross and a statue of Mary to match the newly restored worship space.